Stretch marks are something that all of us deal with at some point in life, don’t we? These ugly lines on the body are very depressing to look at and so is very much a reason of concern to all. So how do we get these stretch marks? Stretch marks, as the name says are formed due to the excessive stretching of the skin due to an abrupt change in body size. Usually women get it during pregnancy but otherwise one can get it when there is a rather quick change in the body size ex: sudden weight gain etc. Pregnancy stretch marks are most often inherited, if your mother has had it during her pregnancy, then you are also most likely to get it. How do we minimize the stretch marks after pregnancy? 1. Use moisturizer: First and foremost moisturize your skin. Moisturizing is very important for skin as it provides the required nourishment which keeps the skin hydrated and elastic. 2. Olive oil + Turmeric powder: A very effective DIY recipe. Just mix both the olive oil and turmeric and gently massage it on the stretch mark. Leave it for as long as you can and then wash it off. 3. 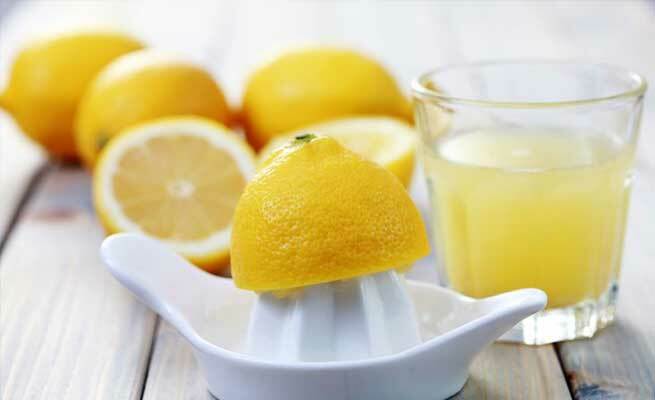 Lemon: Lemon is also known to be good to heal stretch marks. Just cut them into half and rub them over the stretch mark at night and leave it on and wash them in the morning. 4. Glycolic acid: Glycolic acid is good to be used on the stretch marks as they help in increasing the collagen production which helps in making your skin elastic. 5. Glycolic acid and Retin A: Glycolic acid in combination with Retin A is proved to bring in dramatic difference in the stretch marks. 6. Turmeric+yogurt +lime DIY: Take 1 tsp turmeric along with half tsp yogurt and 5 drops of lime juice. Combine all these ingredients and apply it over the stretch marks for at least 20 minutes. This has to be done regularly for the results to be seen. 7. 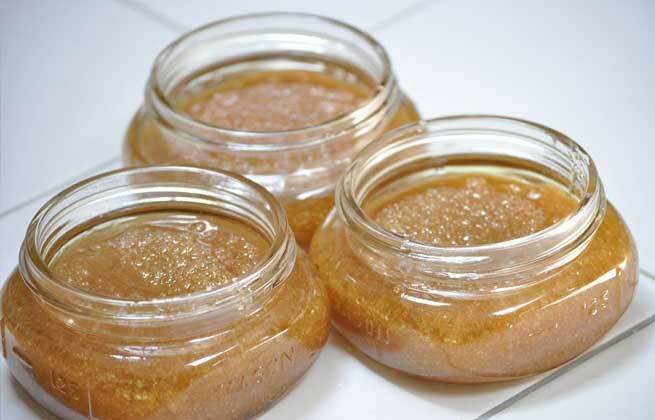 Sugar scrub: Exfoliating the area with stretch mark is supposed to be a great remedy. 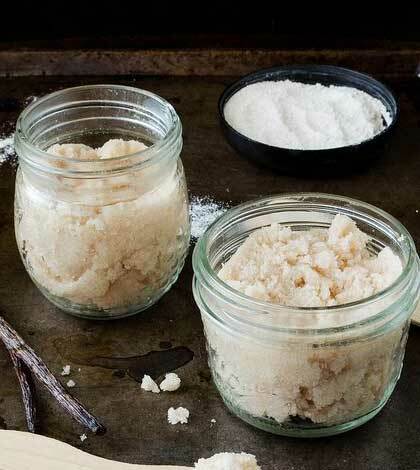 Sugar scrub, which can be made at home, is a good exfoliating option. Take white sugar, few drops of oil along with few drops of lemon juice. Mix all the ingredients well and scrub the area. 8. Vitamin E oil: Vitamin E oil is also known to be very good in treating the stretch marks post pregnancy. To apply it we can mix it with a regular moisturizer and apply it on the skin. 9. Shea butter: One of the major sources of vitamin E and carotene is Shea butter. It is very effective in enhancing the skin’s elasticity along with nourishment of the skin. 10. Castor oil: Castor oil is also used by many to treat stretch marks after pregnancy; Castor oil is very sticky and thick in consistency when compared to other oils. This oil should be spread on the affected skin and left for a good period of time and then be washed off. 11. Potato: Potato juice is known for its scar reducing property. Just take a slice of potato and rub it over the skin. Do it regularly. 12. Egg whites: Egg whites are often used in the removal of stretch marks, as they contain protein and amino acids. Both are considered to be great for stretch mark removal. 13. Water: Last but not the least drink lots of water! Yes, drink as much as possible as the body from within works on the elasticity of the body. In general they say we need to have 2 litres of water per day, so try and implement this good habit in your life to prevent stretch mark in future too. Along with using these home remedies maintain a very healthy lifestyle- eat right, indulge in some form of exercise or yoga. With all these routine followed, within days you will definitely be able see your stretch marks fading away! !